This Centre Drawer Base is a real showstopper and will attract plenty of admiring glances. 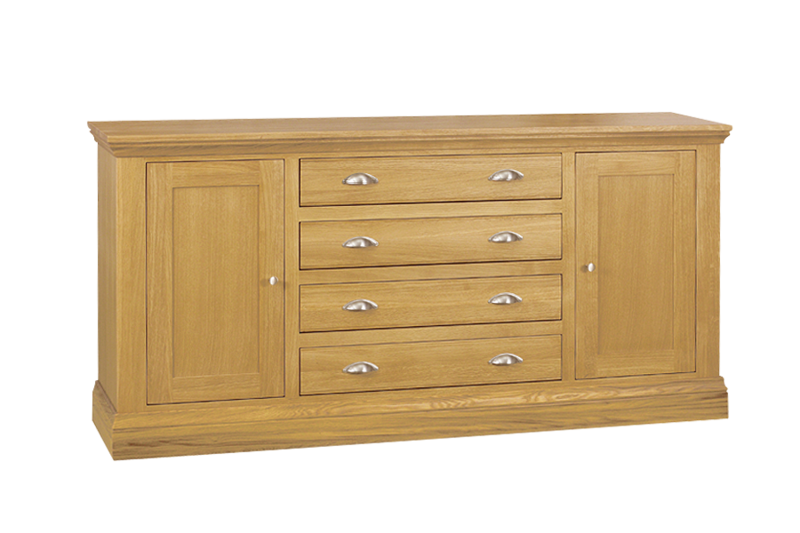 It has a large storage space and is a superb addition to the other pieces in the Cobham Oak collection. It has been constructed using European Oak and has plenty of space, with four generous drawers and two roomy cupboards either side. The cupboard doors feature panel detail and there is a stepped base which adds to its elegant appearance. A timeless classic, which will last for many years whilst still retaining its handsome looks. You could complete the look with the other items in the Cobham Oak furniture range including dining tables, side table, hall table and coffee table.